Blogspot is one of the largest online blogging platforms that offers you turns of opportunities but unlike WordPress, Blogspot users need to dig deep before they can get what they want. A WordPress user could easily purchase some plugins like Yoast and get the SEO job done but a blogger.com user needs to go through a lot of coding before he can get his site 100% SEO friendly. Am I Sure Of 100% SEO? What Else Do I need To Get a Fully Optimised Template? If you are reading this, then you should understand what the term SEO means but in case you don’t have an idea, SEO stands for Search Engine Optimization. What does it do? Now SEO is the interaction your blog have with Google, Bing, Yahoo and Yandex – If your site is poorly optimised, then you will find it hard to rank on search engines. SEO does not have anything to do with the beauty of your blog, neither those it has anything to do with the amount you paid for your blogger template. All SEO is about is what I am about to share with you. This code cost me real time to figure out myself, but with time and experience I figured it out. I have tried this code on several blogs and template and it has worked magic and just for you to be sure, I recommend you text your blog using the chkme.com to see what your blog score is. Do this before you add my codes to your blog, and after you add the codes so you can spot the difference. Now BlogSpot like I earlier said, does not offer you everything easily, you need to work for it. Aside from codes am about to share with you, I will advise another important coding you need to do on your blog to get a fully SEO advanced template. Some custom (premium) templates have it inbuilt while some don’t have it especially the default templates published by blogger.com . 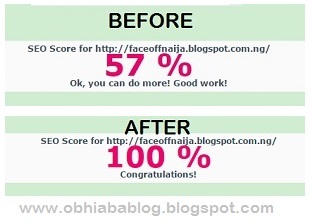 This other important steps will take a new post so for now, let’s go with this but if your template doesn’t get a 100% SEO score, don’t worry, cause after publishing the next post on my blog, it will get a 100% score. This code does not only make your template fully SEO advanced, rather it also gives a whole package of social media tags, search engine tags and rich twitter cards. With this codes, every post users share on your blog, will look unique and neat. Now let’s make your template 100% SEO friendly. Replace all the spaces with twitter username, facebook username id and others. Do you know where to find the usernames and IDs? check them below. Replace xxxxxx with your keywords eg. 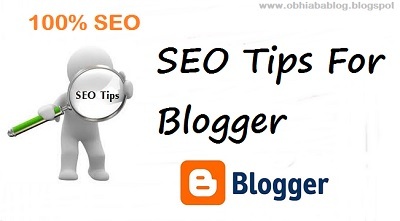 if your blog is about music download then you can write keywords like ‘download, latest, music etc. Hopefully at the end of this post, then i believe you template should be ready to rank first in all search engines including google but also watch out for my next post which will comprise of everything you need including how to write a perfect post, use social media and also change post title tags. Have you added share buttons to your site? and pls do add the URL of your site when replying. For some reason, it's not working even though I've put the meta tags in place on my Html. When I try to share a post to facebook or twitter, it doesn't work.